Duty-free stores await passengers in Port Lucaya, but for those not interested in shopping, there is plenty more to do. 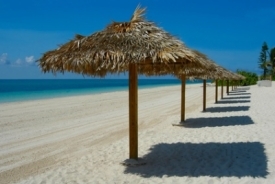 Grand Bahama Island boasts miles of beautiful beaches, and the clear waters are ideal for snorkeling and water sports. The most popular excursions in Port Lucaya include swimming with the dolphins, going on a rum party cruise, water-skiing, jet-skiing, parasailing and windsurfing.